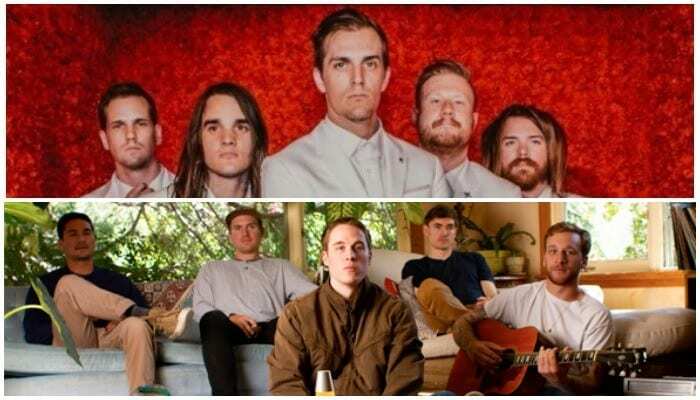 The Maine share new cover song, and A Perfect Circle share new black-and-white music video. Capstan signed to Fearless Records and shared their new song—plus, don’t miss out on new tour dates with Real Friends. Check out the news you might have missed today below! The Story So Far shared their new music video of their song “Take Me As You Please” straight from their latest LP Proper Dose available here. The band recently kicked off their North American fall tour with Turnover, Citizen and Movements. Tickets are available for purchase here. A Perfect Circle shared their new black-and-white music video for their song “So Long, And Thanks For All The Fish.” The song title is a pop-culture reference to the sci-fi cult classic The Hitchhiker’s Guide To The Galaxy. This dynamic track, complete with a quirky and unsettling music video, is the fourth single from their fourth studio album Eat The Elephant. The Maine shared their new cover of Death Cab For Cutie’s “Transatlanticism.” This track is one of 12 on Songs That Saved My Life, a music compilation featuring artists covering the songs that had major impacts on their lives. Hopeless Records launched the project in order to benefit mental health and suicide prevention agencies such as the Trevor Project and To Write Love On Her Arms. The album will be available everywhere Nov. 9 and is available for preorder. Check out the tracklisting below. Florida-bred rock act Capstan signed with Fearless Records. In celebration, the band shared their brand-new song “Stars Before The Sun.” The group are headed out on an extensive two-leg tour with Silverstein, Hawthorne Heights and As Cities Burn. Tickets are available here. Wow, what a great day to announce a tour to Latin America. See you next year! Who is hanging? Real Friends just announced they’ll be taking off on a stint of Latin American tour dates this winter. No supporting acts have been announced thus far. The band are currently out on tour with Boston Manor, Grayscale and Eat Your Heart Out in support of their most recent album Composure. Tickets are available here.